Tampere, Finland – Jan 16th, 2017 – Granite Devices Inc, a Finnish servo drive manufacturer has released a new industrial servo motor drive contributing high degree of time and cost saving features to the machine automation market. A “swiss knife of motion control” IONI starts a new era of servo drives by bringing snap-on installation, built-in SIL2 safety functions and unforeseen compactness in 700 W class in just 70 x 37 x 7 mm form factor. Servo Motor Drive. Photo Credit: Granite Devices Inc.
IONI implements industry standard, torque, velocity and position controls for AC, brushless DC, brushed DC, linear servo motors and stepping motors between 2 W and 700 W power. An improved high dynamic range torque control allows seamlessly to connect a record breaking range of motor variants to a single drive type. The real beauty of IONI is the the ability to perform multi-axis synchronous motion control out of non-realtime host, such as Windows PC with USB or Ethernet connection. This has been achieved by the means of hardware side trajectory buffering and distributed clock synchronization. Customer’s motion control software just fills drives’ trajectory buffers to perform silky smooth multi-axis motion. Under the hood, IONI packs an unforeseen level of connectivity. IONI Pro drive model holds all-inclusive support for incremental and sin/cos encoders as a standard feature. Drive connects directly to the fully open C/C++/C# programmable SimpleMotion bus as well as traditional digital pulse train and analog controllers. 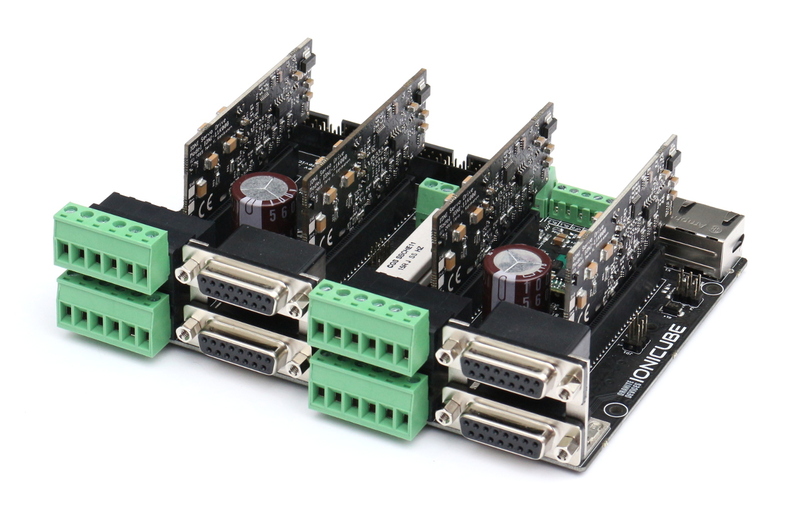 IONICUBE and IONICUBE 1X motherboards are offered alongside with IONI drives for customers to build 1-4 axis solutions or larger motion control systems by chaining the motherboards. IONICUBE motherboard schematics are also offered in open source fashion for customers to build their own purpose-built motherboards. “IONI has proven such swiss knife of motion control approach feasible by using today’s latest technologies” says company’s product architect Timo Piiroinen. IONI is available worldwide directly through Granite Devices web shop immediately from the stock. 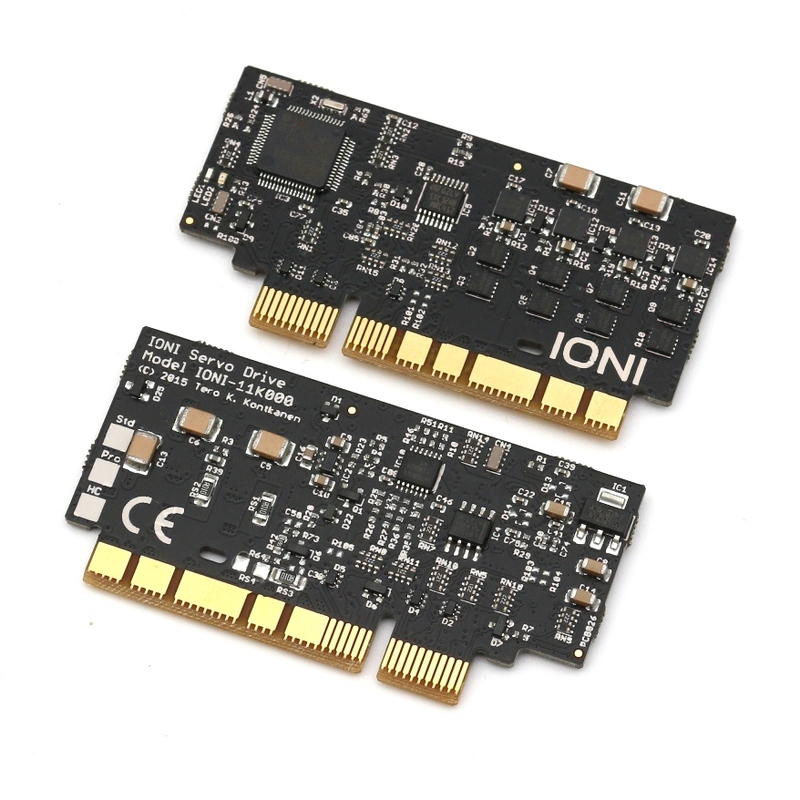 The IONI product line is now in production with three IONI model variants, IONI Standard, IONI Pro and the high current variant IONI Pro HC. The list prices for IONI models are 149€ for IONI Standard, 179€ for IONI Pro and 199€ for IONI Pro HC for orders of 1 unit. The Motherboard prices are 149€ for IONICUBE and 74,5€ for IONICUBE 1X. Granite Devices Inc is an original Finnish servo drive designer and manufacturer located in the heart of Tampere city. Granite Devices specializes on cost and time efficient OEM motion control solutions and provides direct engineer grade support for its products.